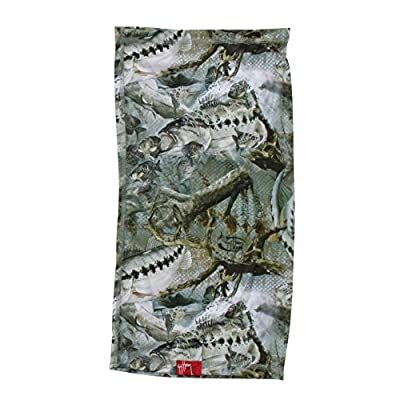 Guy Harvey sun mask is an awesome addition to your fishing gear. Wear it as a fishing sun mask around the neck, or to cover the bottom of your face and ears, or to completely go over your face and head (so only your eyes will be showing). If you are fishing offshore in the sun, our sun mask is the answer to keeping that burn off. For all of you fisherman that forget to apply sunscreen, this is your ticket to UV protection. Quick dry, anti-microbial, 100% polyester. Camo + Lure fabric gives this saltwater fishing mask a cool look.